Boy, do I love a good contest, especially when there’s an opportunity to win some amazing R/C gear. Tower Hobbies is offering up an opportunity for one lucky hobbyist to win a new Pro-Line PRO-Fusion 4×4 kit and a bunch of Spektrum and Castle Creations gear to go along with it. Between now and January 30, 2019 you can visit towerhobbies.com and enter for your chance to win one of the newest R/C kits on the market. Along with the kit, the winner will also receive a Castle Creations Mamba X SCT Pro Sensored with 1410-3800Kv Motor Combo, a pre-cut Pro-Line Monster Fusion body, four Pro-Line Badlands MX28 2.8 tires, a Spektrum DX5 Rugged DSMR radio system (transmitter and receiver), a Spektrum S6250 High Torque, HV Dig Servo, and a Spektrum Flex Fit Hat. 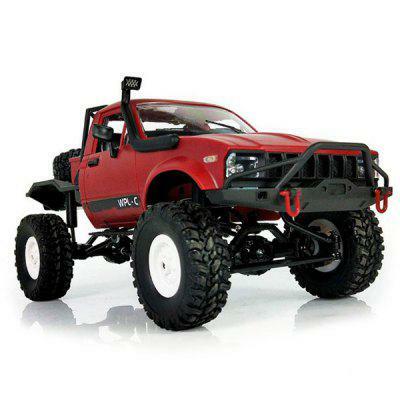 The total value for this prize package is over $1,000 and provides everything you need to build your own radio-controlled short course truck. Visit towerhobbies.com to enter today!